Gordon and Gotch announced to newsagents Friday that they plan to change their name to Ovato. While the announcement seems innocuous enough, the final statement in the letter has caused several retailers to express concerns. During 2019 the Gordon and Gotch name will be transitioned to a division name of Ovato and we will be sending out further communication in due course as well as any resulting changes to our trading relationship. My take is that PMP plans further, and most likely considerable, evolution of their business and that the name change is a public facing representation of that change. 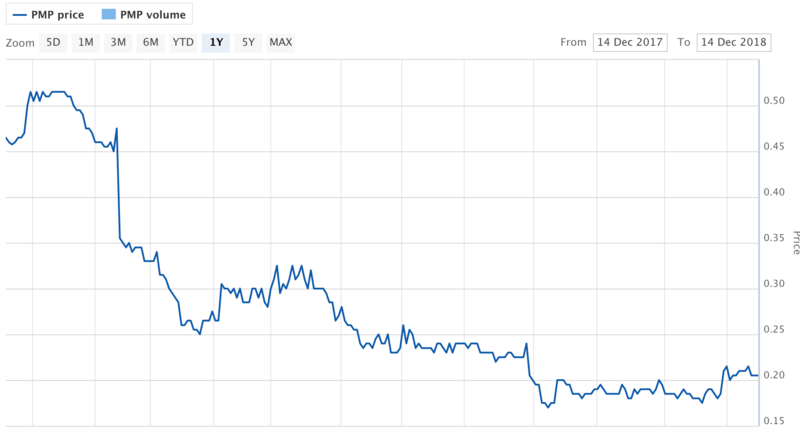 The company’s share price, sitting at less than half it was a year ago, is the driver for change, as you would expect. This level of drop in market value is serious for investors and serious for the board that sets the direction of the business. Do I think what we know as the Gotch business is set for change? Yes, I think it is set for change. It’s margins are low and it is dealing in a product category that remains stuck in deep decline. Change is necessary and by change, I am talking about 90 or 180 degrees. Like the change we need too drive in our businesses. PMP will soon be rebranded as Ovato, as part of a shake up that will see it also install an 80pp manroland Lithoman press in the new year. The company had taken heavy hits to its share price when its expected EBITDA was revised twice throughout the financial year, coinciding with the early exit of long-time CEO Peter George. During the company’s AGM, its chairman pointed to the three-month delayed ACCC approval leading to a shorter time-frame to integrate with IPMG, meaning planned efficiencies were not achieved. Kevin Slaven, CEO, PMP, says, “As a business we have drawn a line in the sand. “Our rebranding [to Ovato] is not a simple change of name for the sake of changing a name. It is based on the rationale that the value of bringing our businesses together is significant, that we need to signal a significant evolution of the business, and to better present the impact we already have, and are building, in data and technology. Significant evolution. Gotch has changed since taking over the Network Services distribution business. However, I suspect the financial benefits have not hit what the board expected. If I am right. what we know at the Gotch business will need further change. The assessments they will be doing, on the numbers, are what we should be doing. Products we sell have to pay their way. This is why I say to every magazine publisher with whom I speak, the 25% gross profit on magazines is unacceptable. maintain this and you will see fewer newsagents stocking magazines. We are no longer agents. As you know Gordon and Gotch is a subsidiary company of PMP Limited. At the recent AGM it was voted positively by shareholders that PMP and all of its subsidiary companies would be rebranding as Ovato from February 7th 2019. In terms of the work we already do for you, very little will be different from February. There will be a new brand name and logo on your invoices and our communications, access to websites will not change. The company name, business number (ABN/ACN) and bank accounts will also remain the same as current. I read the financial results for PMP a week or so ago, Ovato was trailed. The results are a disaster. PMP lost over $100m of printing contracts after the merger. Despite its size, it makes next to no profit on ongoing operations and only survives because borrowings increased in last 2 years. GG gets no mention in the long strategy statements by management. If PMP does not make money on its core printing business this year, it is questionable where any additional finance will come from. Hence the tanked share price. Any hope newsagents have of getting a better deal from PMP are misplaced. Expect less not more as the Company milks whatever it can to survive in its core printing divisions. I would expect that Ovato will increase their already exposure of Gifts, Stationery and maybe Books with larger profit margins than magazines into their distribution channel. Whether it’s enough to make them survive is another matter. Graeme Which is what they are now doing. Interestingly alos straying into things GNS once ruled. I don’t think their foray into gift and toy lines will work for them. They can’t get their core model right so what chance is there for these new areas. Also, their margin is awful and the range limited. I totally agree, this is my take as well. Distributors are very much different to Wholesalers and manufacturers. G&G were doing this in 60’S & 70′ the expansion of retail stopped them It’s a return to start, which doesn’t work, New models do. Desperate measure in Desperate under Desperate circumstances. More corporate gobbligook from Gook & Gobbli! From a delivery & distribution standpoint their process and service level has seriously declined in recent years. To claim that it has been improved is just errant nonsense. Nothing about it fits any current newsagent business model scenarios. If they think that can start to include non magazine products into their channel stuffing business model they will surely meet a lot of resistance from the channel. The current approach is already a severe abuse of market power and if they expand its product footprint they will need to significantly change their ways. It’s clear that from a philosophical aspect they see their publishers as their primary customers, rather then the distribution network and the readers of the magazines. Thus their view of their core purpose is already wrong and they show no inclination towards wanting to get it right.